ischooledx is the most respected and unique education space with global perspective founded in 2013, on the principle of building and implementing great ideas that drive progress for students, parents and people around the world. ischooledx is the place where students of all the ages, teachers of all categories and all who value for education across the globe come closer to interact and thus realize the beauty of the dream one world, one school. Agents of change are blessed personalities who are successful, powerful and resourceful with desire to bring about change, thus do justice to their destiny and great vision of quality life ahead. Agents of change are honourable personalities with an exemplary quality of leadership and excellence, who believes they have an equally important role in leading new generation, especially children and women across the world to outperform the competition and stay ahead of the innovative curve. 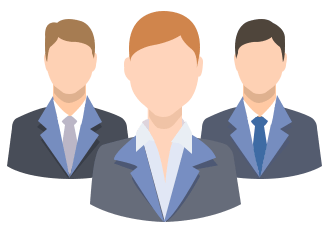 Agents of change illuminates the advisory board of ischooledx. 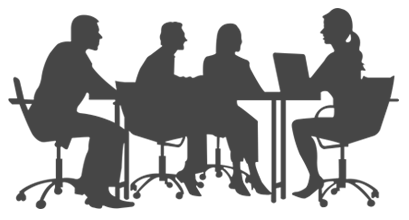 Academic council is the chief instrument of faculty governance at ischooledx. 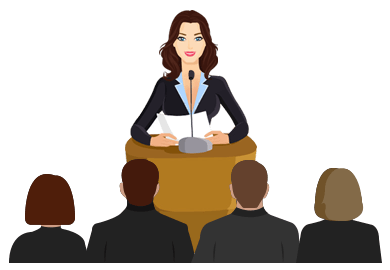 The procedures invite faculty in general and the various quorums as well, to organize themselves in representative council for discussion of matters of interest to each faculty grouping. These councils provide for representation of considered faculty opinion to the administration and less directly to the senate. Academic senate is the supreme academic authority of ischooledx. The senate is responsible for authorizing education programmes, issuing awards and for the discipline of the students. 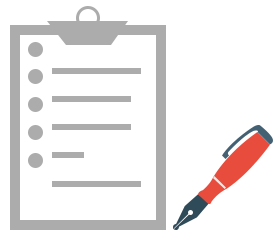 The motions, recommendations or actions that are generated by the academic senate through discussion and passed are referred directly to the CEO for further procedures. ischooledx, with a team of highly competent and expert professionals carefully chosen from around the world is well poised to set a new bench mark in the world education scenario. The think tank of ischooledx comprises of a panel of experts who bring with them years of experience, knowledge and new-age thinking in implementing the project from a global perspective that is second to none. Podium is the most exciting and huge social network of international student community engaged in ischooledx. It works on a simple theory one world, one school, so that the next generation learn, think and work on a global perspective and thus stay united. Alert is an advanced information and safety mechanism that connects parents, teachers and students on a single platform. Alert is a quality tool for school management, which help schools and teachers to inform significant updates of schools immediately to parents and students. Tyee is the international reading room for students across the globe, which provides information and latest international updates of facts and figures which are relevant to student community is well arranged in different categories like Science, Who is who, Innovation, Current affairs, What is what, Sports news, International affairs, Smart kid, Smart dad, Smart mom, Art and Life style. ischooledx aim to support all students across the globe irrespective of any discrimination to sharpen their career minded professional education in international standards and to mould new generation into a posterity capable of tackling the impending challenges of the day. ischooledx is a premier global academic platform dedicated to the motto of excellence and service. We strive to reach out to the star of perfection through an earnest academic pursuit for excellence and our efforts blossom into 'service' through our creative and empathetic involvement in the society to transform it. The Mission of ischooledx is to become the most influential institution of recognition and improve quality of life of the social fabric across the globe by imparting excellent education. Students across the globe, irrespective of creed, country and continent learn with ischooledx. ischooledx provide smart study materials, modern and effective learning experience,audio and video interactions etc... for the best results. ischooledx help students across the globe to benefit second opinion, detailed explanation and various approaches towards topics they study, in their physical school. 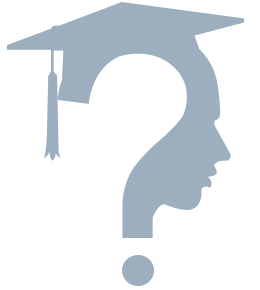 How ischooledx help students in financial shortcomings? 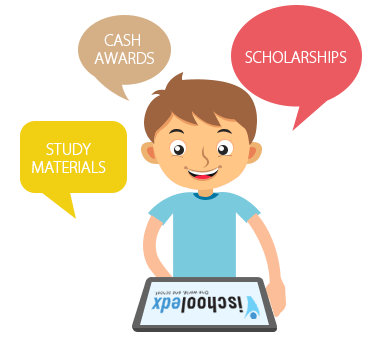 ischooledx provide large number of scholarships and cash awards. 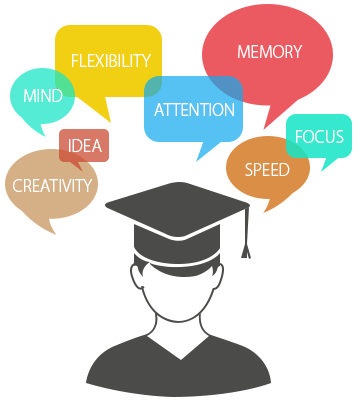 How ischooledx help students in academic shortcomings? ischooledx help students with simple and smart study materials and learning solutions. Students who could not follow any topic in their physical school due to any reasons can study from ischooledx in international standards. ischooledx provide students, modern learning methods, smart worksheets and clear tuitions. How my institution can become an important part of ischooledx? Sir, your institution can become an important part of ischooledx by enrolling your institution with ischooledx. How do my institution benefit? 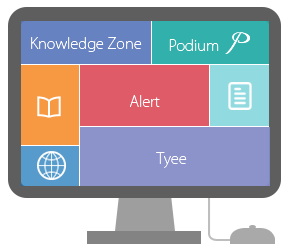 By joining ischooledx, your institution benefit use of advanced applications like podium and alert, which upgrades the communication mechanism in your institution between teachers, students and parents. 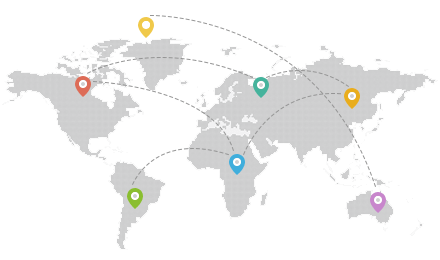 Through participating in scholarship or an event in ischooledx, students in your institution can interact with students from other parts of the world. You can effectively showcase your institution and can reach millions of students and their families who are keen about higher education. To sign in you have to join ischooledx. You are always welcome to submit interesting and informative articles to tyee.